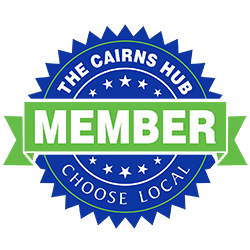 Submitting your business to Local and Australian directories allows customers to find you when they’re actually looking for products or services you can provide. That;s huge, but these listings also drive loads of highly targeted visitor traffic to your website and they can seriously increases your performance in the search engines, resulting in even more traffic, leads and sales. Submitting your business information can be a slow and tedious chore though, so we offer a number of packages to get you listed on the most important directories in the shortest possible time. Every business is different though, so you’ll notice we adjust the submission list to get you the best possible results. There are literally hundreds of business directories available online, and it would be an impossible task to try and list in all of them. It would also be a waste of time as you only get real value… traffic, leads, sales and SEO ‘juice‘… from directories that are relevant to you business, your location and the products or services you offer. So regardless of the package you choose, our first step is to select the directories that are going to add real value to your business. We have a number of sites we almost always recommend, but we’ll add to that list based on your niche and location. We then make sure your website is ready and optimised to benefit from the work that’s coming. We might give you a short to-do list if we see any major issues. We then make sure you have the necessary Google My Business and Google Maps pages properly set up and claimed. This is essential so we include it in all packages and again, if there’s any problem we might make a few suggestions before we go any further. We do these manually, literally one at a time, to make sure each one is accurate and optimised, and a little bit unique. A lot of people will do these for you using automated software, which makes it cheap, but the listings created this way will all be identical… which reduces the SEO value… and will almost always have errors due to variations in the submission process. So our approach is slower, and we deliberately spread it out over time, to ensure the newly created content is ‘discovered‘ naturally and gradually by the major search engines. Again, the automated submissions don’t do this, so they create an instant link profile that is anything but natural to the search engines. As we create the new profiles, we do submit your links for rapid indexing though, so that by the time we’re finished, all the early links are fully indexed and working for you. Then the results just keep on getting better as the rest are discovered. Once the job is done, we’ll provide you wit ha list of all profiles created, and you’ll also get access credentials for most of those so you can login and update any of your details if required. Many of these listings will also include interactive options for your customers, mostly to leave reviews and feedback, so the last thing we do is transfer the account creation email over to you, to ensure you get the notifications. We basically create a new (free) GMail account to create all your business directory profiles. Then when we’re done, we simple redirect all mail from that to your preferred email address, so you immediately get all customer feedback and other notifications. Alternatively, we do offer a Reputation Management Service, where we’ll monitor all these profilesfor you, plus the major social networks, and respond to any simple inquiries and comments relating you you r business. We keep you informed of any activity, and forward any important/relevant material on to you. Please contact us directly if you’d like to discuss this option. Here’s a few links to our own listings in some of the local/business directories we use. Some of these give you additional exposure if you post a link to their site, hence these listings… Needless to say we can take of that for you as well!